When God speaks, I hope I have sense enough to listen. If not, I guess He’ll send a cardinal. But, I get ahead of myself. Have I ever told you my dad, who died last November, loved birds? “I bought 50 pounds of birdseed at the Belleville Seed House – the good stuff,” dad would tell me proudly when the first hint of frost touched the ground. Dad would fill feeders and then broadcast seed on the concrete below his back door step, like a chicken farmer caring for his brood. The seed would go down and the birds would be watched. Dad leaned his forehead against the window of the kitchen door, surveying the ground with interest. -Then the count would come. “Twenty sparrows!” he’d call out. “Two blue jays!” he’d announce. Nothing could mask the joy in his voice, however, when he first reported cardinals. Cardinals were dad’s favorite. Females were lovely with their grayish orange hue, but the males…oh, the males were beautiful! Bright red check-marks drew dad’s attention away from the gray of the day. In later years when eyesight failed, binoculars helped him keep count. As always, the cardinals got top billing. Oh,,…how they delighted my father! It was warm Saturday, so I was in a flurry. I flung two old wooden chairs onto the lawn and grabbed my spray paint cans to give them a couple coats. As usual, I wasn’t paying attention to my surroundings. 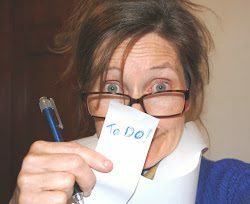 I had a list to get done. After all, I am a Type A kinda gal. A spot of red under the oak tree caught my eye. – How odd to see bright red against the brown grass. I wondered what it could be and then I realized what I was looking at . Poised perfectly in the stillness of the grass stubble stood a cardinal. The cardinal was looking directly at me. I moved closer. The cardinal did not move. Hmmmm. I moved a little closer. I could see the gentle black eyes of the bird, masked in grayish-black and surrounded by brilliant red feathers. Why did this cardinal seem old to me? I moved closer still. The cardinal did not move. Was he hurt? Suddenly, my dog bounced up behind me. “Fly!” I shouted and the cardinal fluttered into the nearby fir tree. He lit upon the soft tree needles, lifting claw upon claw like a cat preparing to settle into bed. He turned himself in his perch and nestled safe on a branch facing me, once again. I was dumbfounded. I stood next to the tree and gazed at the bird. He and I listened to the breeze shirring through the needles. In the distance, a choir of frogs chirped in rhythmic chorus. I watched the cardinal tuck his beak into his ruffled feathers for a moment. Then his eyes came back to me. “It’s OK, buddy,” I whispered, not really sure why I was reassuring a bird. I moved back to my chairs and began to spray, glancing at the red check-mark, still watching me from the dark green of the pine tree. Later, when I carried trash to the burning barrel, I found the cardinal high in the oak tree. He looked down at me with interest. He still silently called me to share the day with him. The cardinal fluttered back down to the ground when I returned from burning. I slowed down to talk. “It’s OK, buddy,” I said again. Up he hopped onto the branch above my head. For a second time, the cardinal called me to listen to the stillness. Sunshine had come out to finish off the day. It cascaded light down the fields. I could feel it’s warmth on my face. I gazed at the stinging brightness – God’s wonderful beauty. My tears surprised me. I sniffed and looked again at my red friend. “It really is OK,” I said for the third time, wiping a tear on my sweatshirt sleeve. The bird’s bright red head tilted to one side. I bent to pick up my paint cans. It was time to go inside. When I turned back to the tree, the cardinal had vanished. My cardinal spent the afternoon with me. He watched me paint my chairs and clean my gardens and burn my trash and wash the day away with a few tears. It was a good day. It’s been a long time since I’ve felt so…at peace. 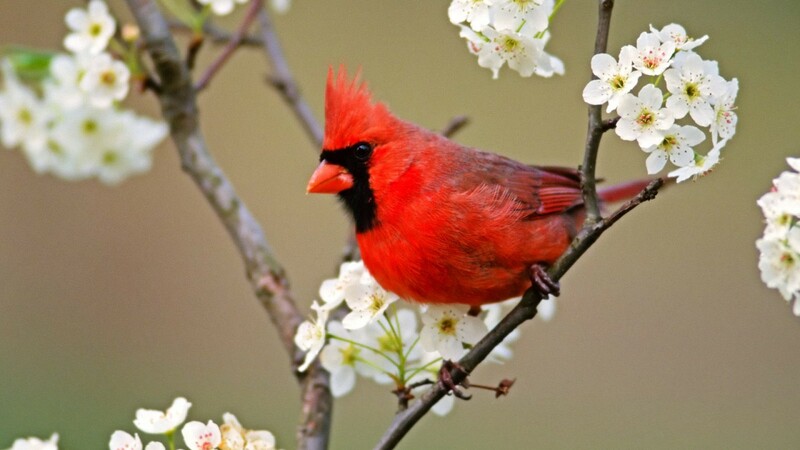 God speaks to us in the stillness….and sometimes He sends a cardinal.